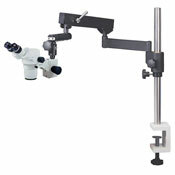 These systems feature a boom stand or arm stand for maximum reach, height, and flexibility. 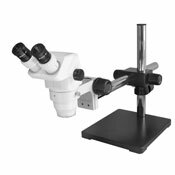 Although they are typically used in industrial applications, they are great for anywhere placing the target on a standard microscope stage is not possible or desirable. 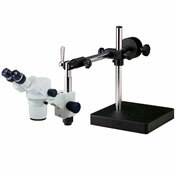 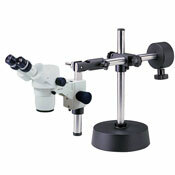 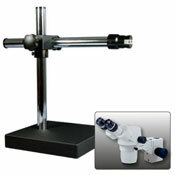 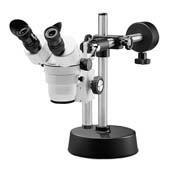 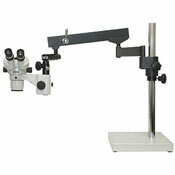 Most of these microscope heads are also available with other types of stands as well.